The latest Caelestis release, a single in collaboration with French underground death metal combo Archenterum, is a curious experiment in sound that works just as much as it feels contrived. It is a bold continuation of the alternative/gothic rock sound hinted at on the previous “Heliocardio” EP, and it feels contrived in the sense that the whole beauty-and-the-beast approach has been perfected in every conceivable way during the second half of the 90s with the countless The Gathering and Theater Of Tragedy clones. ‘Spyglass’ forms the debut of newly acquired bass guitarist Fabiana Figurati and keyboardist Piero Avitabile. In the interim vocalist Vera Clinco has quite literally found her true voice, and is singing with as much passion as she did on “Heliocardio", but she has considerably increased her range and power. As an added bonus Clinco is allowed to write lyrics in multiple languages (now including English and French next to their native Italian) – and this newfound freedom gives the single a sense of nuance the previous EP didn’t have. That Clinco is at long last singing to her range is a wonder to experience. Where she lacked confidence and power on the “Heliocardio” EP, here she’s coming into her own as a frontwoman. Never before exuded her singing this much passion, sensuality and power. Hopefully she’ll continue to grow as a singer as she did here. The lyrics fit seamlessly with the chords and the song’s flow, and there’s a wonderful solo or two by Cataldo make the entire thing even more exciting. That the whole beauty-and-the-beast approach (in terms of vocals, and music) has been done to death by now should come as no surprise. Despite the worn-out nature of the formula it’s the Caelestis aspect of the single that shines the brightest. 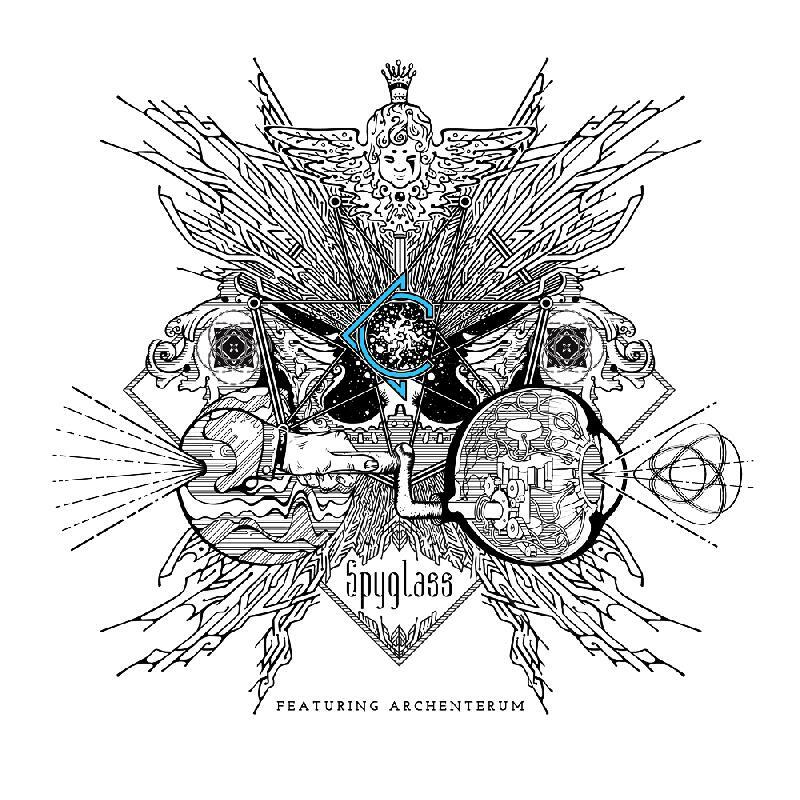 Not to say that Archenterum aren’t competent in what they bring to the product, one can’t help but notice that it is redundant and somewhat contrived within the context of the ‘Spyglass’ song format. As a stand-alone experiment it is a commendable genre exercise, but hardly the revelatory discovery it was when Theater Of Tragedy pioneered it in 1995. The formula is worn-out, yet the song itself is one of the best things the band has written within its new creative paradigm. The composition is far more open, with vocal breaks to give Vera Clinco the space that she needs to let her voice soar, and Cappiello now is more confident within his niche than ever before – and it shows. The song is the most straightforward and hook-oriented Cappiello has ever written, but it goes through a variety of moods before concluding, and there are tons of details hidden within. The fact of the matter is that Caelestis’ lion share of ‘Spyglass’ is where its real strengths lie. The addition of Archenterum’s rather formulaic and stale sounding death metal is good for what it is, but the song hardly needs it in the first place. In fact it would be interesting to hear this song in its pure Caelestis form, without the addition of the rather uninteresting growls and stock heavier riffing. The keyboards are at the forefront of things, and they sometimes tend to get in the way of the celestial sound effects and new age segues that featured heavily on the “Heliocardio” EP. The band has mastered the standard pop/rock song format, and there’s no awkward transition to be found through out the entirety of the single, which is testament to Cappiello’s continual growth as a songwriter. Whether this signifies Caelestis having fully abandoned their ambient, new age and lounge sound of the past remains yet to be seen. 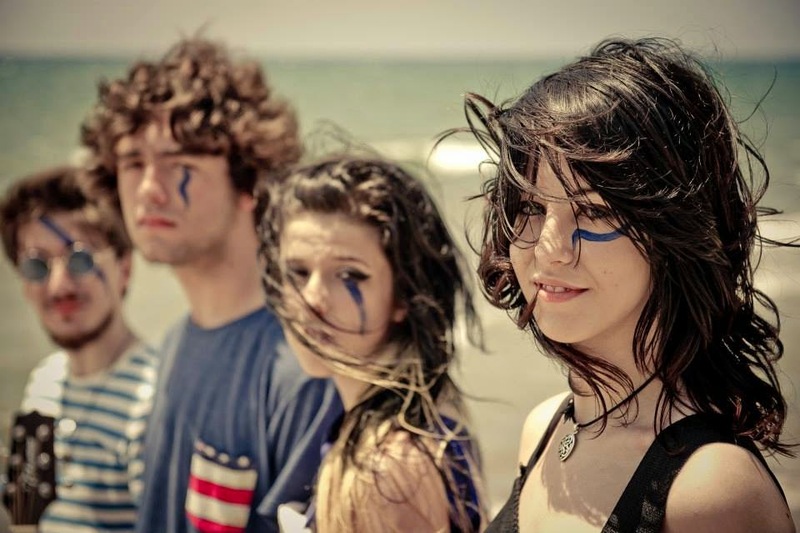 ‘Spyglass’ is the most logical continuation of the sound the band aimed for on “Heliocardio”, but Caelestis has yet to enroll a full-time drummer in order to capitalize on that sound on the live front. Figurati and keyboardist Piero Avitabile only feature minimally in this new song, and they are kind of lost in between Cataldo Cappiello’s wonderful guitar work, and Clinco’s soaring angelic vocals. It will be interesting to hear what the both of them will bring to future Caelestis material, especially Figurati with her finger-picked bass guitar playing should feature prominently in the mix. It would be interesting to hear Caelestis return to its ambient lounge sound with Figurati’s throbbing bass lines, and Avitabile’s wonderful keyboard enhancements. Given how catchy and poppy ‘Spyglass’ is it wouldn’t be surprising if Caelestis decided to capitalize on its success, or the song’s formula. On the back of ‘Spyglass’ Caelestis can go in any direction they so desire, as this is as far from “Sky Shards” and “Nel Suo Perduto Nimbo” as one could probably imagine. It is an interesting change that the band has undergone, but it isn’t withouts its charms. The increased vocal presence of Clinco, and Cappiello’s fiery guitar work show Caelestis poppy side more than ever before, and never has it been as strong and convincing.